We meet and we mingle, but how well do we know our coaching colleagues? 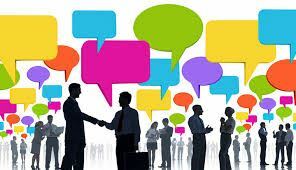 At our Speed Networking, we revive a popular event from the past in order to deepen our connections and discover interesting facts and facets of our ICF VA coaches. Engage in quick exchanges to learn more about other coaches' niche, practice and training. By making these connections, we strengthen our referral networks, our support structures and our opportunities to collaborate. Join us at Vasen, one of our newest and most stylish RVA breweries, for a few rounds of conversation and, if you like, a cold brew.